The practicality of electric vehicles seems to be a constant talking point. I started writing for the automotive sector in 2014 and despite technology and infrastructure having come on leaps and bounds since then, it’s still a cause for concern among your everyday motorist four years later. 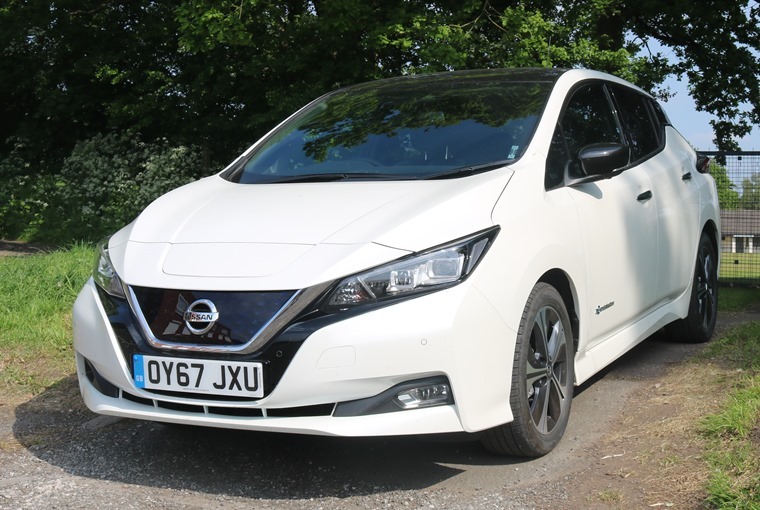 With this in mind, we thought we’d borrow the latest, longer-range version of the new Nissan Leaf for a week to commute in, with my colleague James Kelly using it to get out and about at the weekend, to see how viable it is as an everyday car. 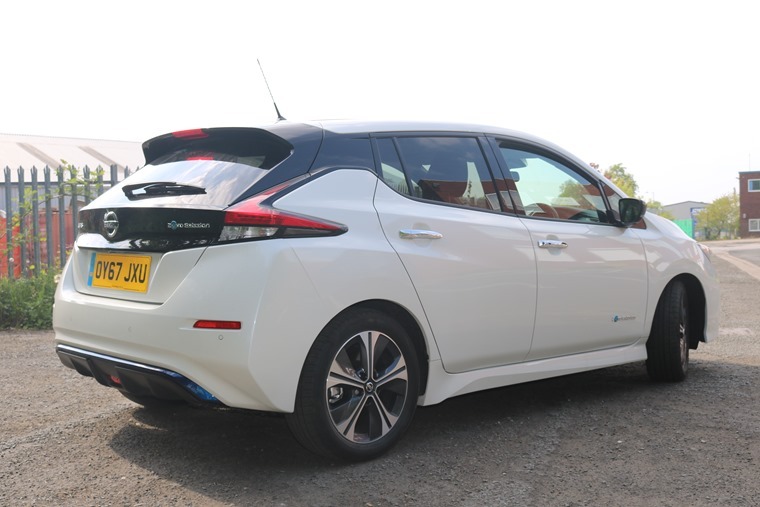 With a 60-mile-round-trip commute from Horwich, near Bolton, to Stockport, taking in the M61, M60 and a few A-roads in between on Monday to Friday, placing the electric car into the mire of the north-west’s busiest roads seemed the ultimate trial-by-fire of the new Leaf. 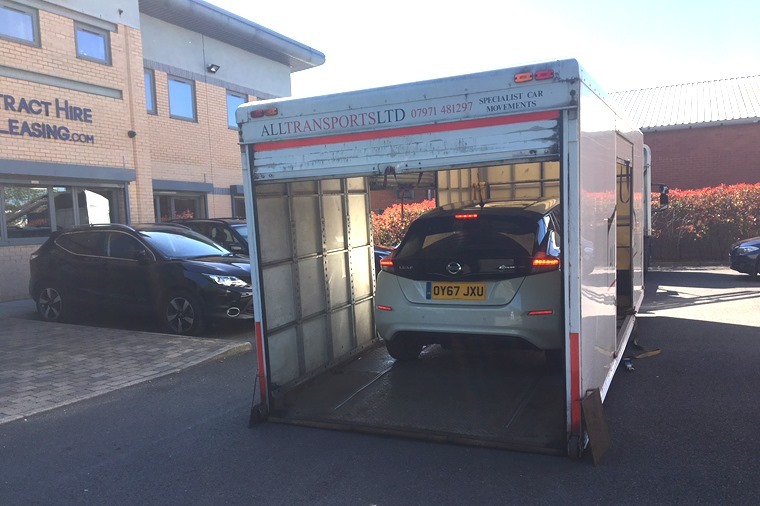 After a minor bit of confusion, the Nissan Leaf arrived to us on the back of a flatbed lorry, usually the reserve of supercars and sports cars like the Nissan GT-R. The irony of a zero emission vehicle piggybacking on a diesel truck with an MPG of about 20 wasn’t lost on us. Unpacked and fully charged, we gave the all-electric Nissan Leaf the quick once over. Like the previous Leaf, this new model is based on the Nissan Micra chassis and as such, we’re immediately comfortable in the cabin. The general layout is done in such a way as to give any driver a seamless transition to moving into an EV. Far from being an electric Micra though, there are a variety of subtle differences. 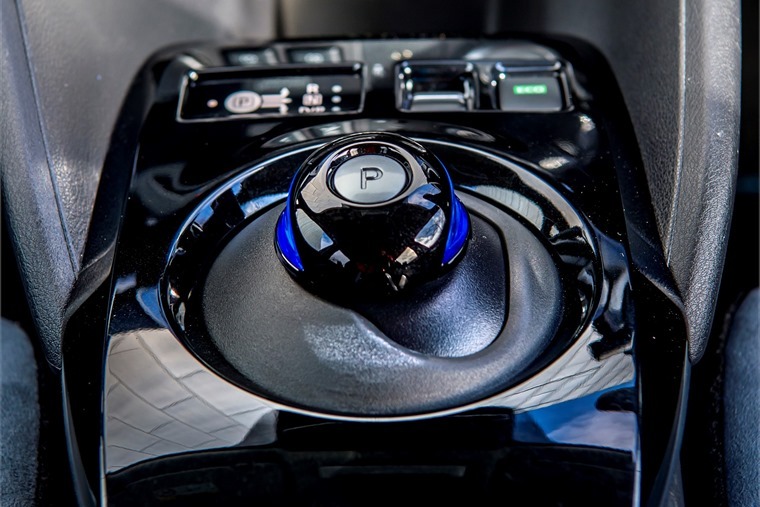 There’s the automatic gearstick for example which is a roll-ball, while a variety of buttons specific to the EV take prominence on the centre column including ECO mode and e-Pedal. More on these in a minute. Relatively comfortable with the set-up and adjustments made, I set off home from the office. I don’t want to say range anxiety took over as that would be stupid with a full tank of, erm, charge, but my constant glances at the ‘miles remaining to charge’ and ‘battery percentage left’ was more out of interest into how my driving habits impacted the numbers. Did that quick acceleration away from the traffic lights make a dent in the percentage? Did the braking in traffic light up any bars on the regenerative brake? While initially dubious of the e-Pedal, I found it came into its own in this type of stop-start traffic. For acceleration, you just push down on the pedal. Lift your foot off it and the e-Pedal mimics stepping on the brake, allowing the vehicle to decelerate and eventually stop. If you don’t like it though, it’s optional. You can switch it off. With 320Nm of immediate torque available, it can disappear in a hurry and bring a smile to anyone's face. Working from home, the Leaf had a more relaxing day than it was likely to get again. Outside of a quick trip to the gym and some B-road blasts to show off the car to my girlfriend it wasn’t really put to task – I switched off the e-Pedal, ECO mode was discarded for the most part and the air con was blasting. Oh, so maybe it was put to task as after all that the battery dropped to 67%. And let me tell you, with the ECO-tether off and 320Nm of immediate torque available, this is a car that can disappear in a hurry and bring a smile to anyone's face. Even better is disappearing in silence when someone is tailgaiting you. With yesterday’s economy lesson to hand, the morning commute to work started at 7:45am. Though the drive started relatively sedately, I can’t help but turn ECO mode off once again to speed up on the sliproad to join the motorway. The battery percentage takes a hit. It’s a relatively cold morning too, but I didn’t turn the heater on. Herein lies my issue with electric vehicles still: they make me feel guilty. More guilty than I feel in my own Kia Sportage, in which I turn things on without a second thought. Should a zero emissions car make you feel guilty for using its mod-cons or putting its performance to the test? Should a car really be something purely utility, there to get you from A to B? This was how I was beginning to view the Leaf. But maybe that’s just me. 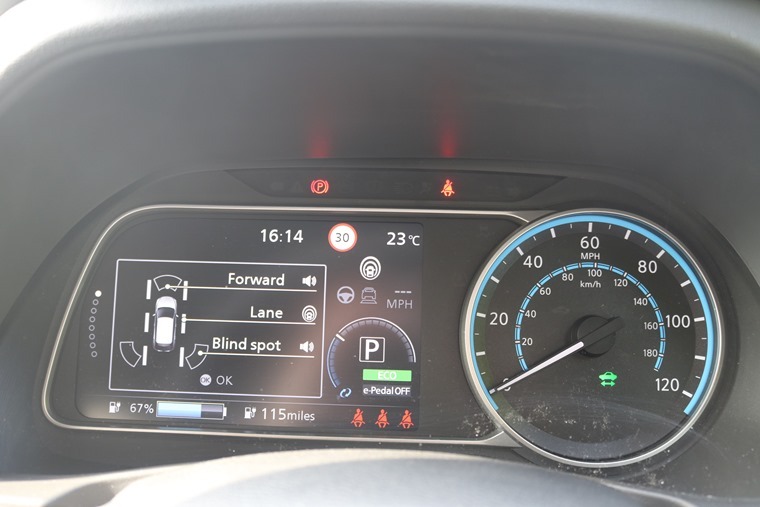 With ECO switched back on, and the e-Pedal put into use in congestion, the battery level remained steady at 57% for the majority of the journey along the 50mph M60 zone but was eventually down to 40% when I got to work. Cue my first go at charging the vehicle. Luckily the car park has outside sockets for the three-pin plug that comes with the vehicle and charging from 10:50am until I left work at 17:20pm the charge was up to 79% giving me a range of 124 miles for the journey home. Easy peasy. When I start the vehicle in the morning, the charge is at 58% with 90 miles to go. As my journey home was just short of 32 miles, the numbers tally up to a pretty decent representation of real-life mileage coverage. Range anxiety does exist and it won’t go away for some time. The fact that you can clearly see just how much the still-limited range is influenced by your behaviour can sometimes increase this anxiety. It’s no secret that you are going to have to charge the battery more often than you would have to fill up if you were driving something with an internal combustion engine. But if you enter into a deal for the car knowing that, what’s the concern? What is concerning is my reluctance to use the heater yesterday morning seems justified. Putting the heater on at 23 degrees meant my range dropped from 90 to 86 miles by the time I’ve covered less than a mile. So I turn the heater off again and opt for the heated seat to get rid of the early morning chill instead. The range doesn’t fair much better. Guilt over trying to get warm assuaged, I turn the heated seat off and just bask in the warmth of the heater again. If the battery is going to decrease no matter which I use, there’s no need to compromise. So with that in mind, a little bit of congestion, and the standard mix of 50mph speed limits and national speed limits, I rock up to work with 30% and 45 miles of range left. I could probably just make it home with that, but I wouldn't like to try. Again, the word compromise springs to mind and is the word I am beginning to associate the car with over other more palatable ones such as practical. 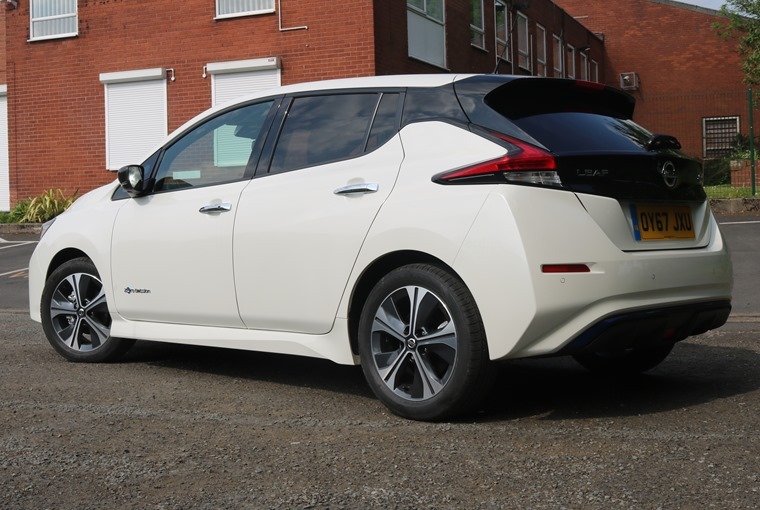 My last day in the Nissan Leaf before handing it over to my esteemed colleague for the weekend, I decide to disregard Thursday’s thoughts about using it sensibly and instead view it as a performance vehicle. With a Friday lull in the roads allowing a clear run on the motorway, I will have the heating on, I will take ECO mode off, and I will just drive it like any other car. You can do this, it’s no problem as long as you can spare a few hours to get the charge back up. I roll up to work with 20 miles of range left, but I had fun and that’s the main thing. All in all, the car is certainly more practical than I expected and a definite improvement over the old model, both in terms of style and performance. Depending on your circumstances, this is a car that will make a lot of sense for a lot of people. This is a car that will make a lot of sense for a lot of people. For me, travelling 60 miles a day, it doesn’t have that allure and the constant charging started to feel like a chore by the end of the week. I didn’t take it to the local Nissan dealership to use their Rapid Charger as the only times I’d have been able to do that were on my dinner break or on the way home, both of which I’d have been sacrificing my free time to do so, which isn’t practical or desirable. So, I’ve got a Leaf for the weekend. Pulling on to the drive on Friday evening, I’ve got 39% of battery remaining. According to the range-ometer that’s 67 miles of range. Over the next two days I have to return to my majestic homeland of East Lancashire and then drive down to meet some friends in Crewe, which is around 150 miles all told. So, how did things go? Rather than plugging it in at home over night, I decide to try out one of Ecotricity’s rapid chargers. 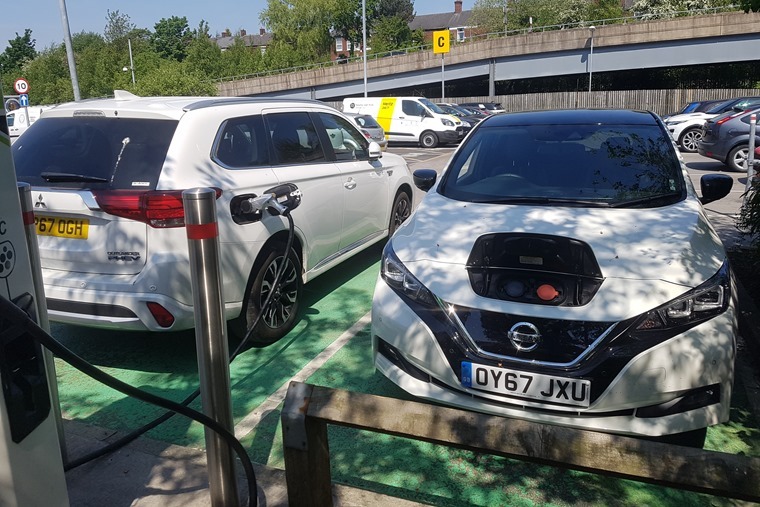 The nearest one is around 20 miles away in an Ikea car park and, by my reckoning, a full charge by one of these would tide me over the weekend. It’d also prove an interesting experiment: Are they easy to use? Can you really charge up to 80% in a little over half an hour? Do plug-in hybrids really hog the charge points? The respective answers were: yes, yes and most definitely yes. After a run down the M60 to Ashton Ikea I arrive to find, you guessed it – an Outlander PHEV hogging the CHAdeMO rapid charger. Yup, I have now officially been ICEd. The PHEV was fully charged, at which point you can technically remove the charger from it and commandeer the plug. But what’s the etiquette? Who’s liable if their car is damaged? Should I leave their charger cover open or closed? What if the driver is a maniac and attacks the press car while I’m not there? After a bit of umming and ahhing and assuring myself that Outlanders are a go-to choice for eco-minded families rather than sociopaths, I promptly went off to buy an industrial quantity of meatballs while the Leaf refilled. The best thing about Ecotricity is how easy it is to use. 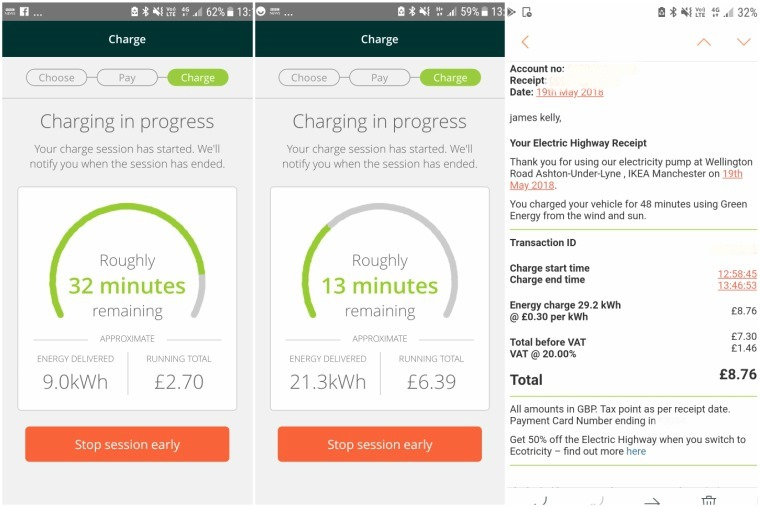 You connect and start charging via an app, that also allows you to track the car's charging and gives you the option to ‘end session early’. 40 minutes and £8.76 later and I was up to 88% capacity – enough for 155 miles of range; still quite far off its official NEDC 235-mile claimed, but good enough for this weekend. Even accounting for the meatballs, that's also a fair bit cheaper than 155 miles' worth of petrol would cost, too. 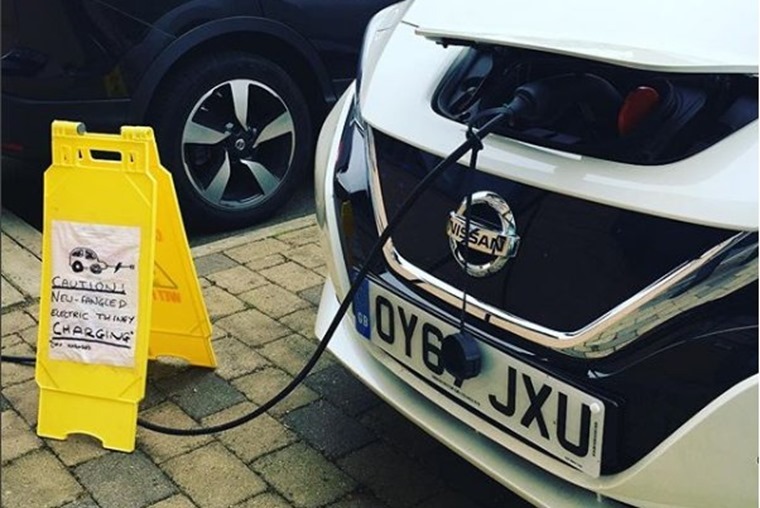 Of course, even the most rapid of the rapid chargers are not as convenient as just filling up a tank with petrol but, as the fast charging network expands, one imagines the whole concept of electric car will become more appealing. I was quite shocked by the level of interest passers-bys had in the Leaf, too. Proof enough to me that people are -almost- ready to make the jump from combustion to electric power. Family visit complete, I arrived back at mine with more than 100 miles remaining – plenty enough to get me to Crewe and back on Sunday. I will admit I was in ECO Mode and using the e-Pedal, but the range-ometer was very accurate indeed. So, what do add? 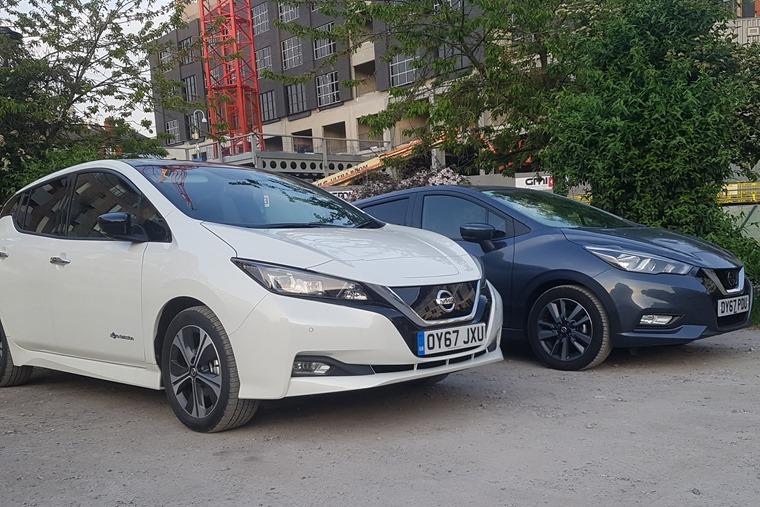 Well, while the Leaf still isn’t arguably the best choice for lengthy commutes or longer journeys, a weekend with one has proved to me that it’s a massive step in the right direction for EVs. Longer trips still mean you’ll be planning your journey around charging stations. But with their number set to explode over the coming years, I reckon it’s just a matter of time before the big shift from combustion to battery power, starting with those inquisitive Ikea customers.